Do you like Ariana Grande Road Trip? Share it with your friends. 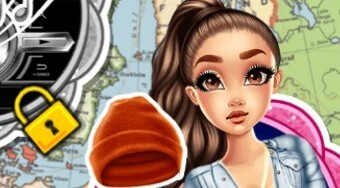 Ariana Grande Road Trip is a wonderful girl game where popular singer Ariana Grande is going on a trip to get some rest after her challenging tour. Choose a car for her, beautify him, pick music for the journey, and eventually Ariana to choose a trendy hairstyle, clothes and fashion accessories.